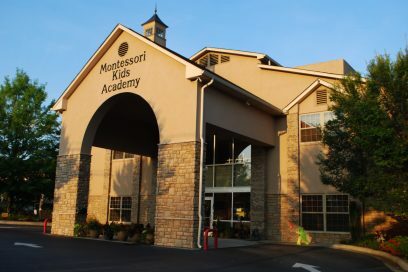 Montessori Kids Academy has partnered with the Georgia Student Scholarship Organization (GASSO) to participate in the Georgia Tuition Tax Credit program. This program allows Georgia residents or companies who pay income tax to designate their tax money for scholarships for a specific private school in Georgia. Legislation, passed in 2008, allows taxpayers to donate part of their Georgia Income Tax for use at private schools to provide scholarships for children eligible for Georgia Pre-K through High School. The donor receives a dollar for dollar credit off of their Georgia Income Tax for a donation that they make through GASSO. An individual can donate up to $1,000 per year, a couple filing jointly can donate up to $2,500, and a corporation paying Georgia Income Tax can donate up to 75% of its Georgia tax liability. Since GASSO is a 501(c)(3) non-profit organization, contributions qualify for a charitable deduction on federal tax returns and are eligible for corporate matching gift funds. Contact the Front Desk for more information about this program or contact Bob Jaison at GASSO directly: (678) 947-0238 or email: gassoinc@bellsouth.net.